Item # 313886 Stash Points: 12,995 (?) This is the number of points you get in The Zumiez Stash for purchasing this item. Stash points are redeemable for exclusive rewards only available to Zumiez Stash members. To redeem your points check out the rewards catalog on thestash.zumiez.com. 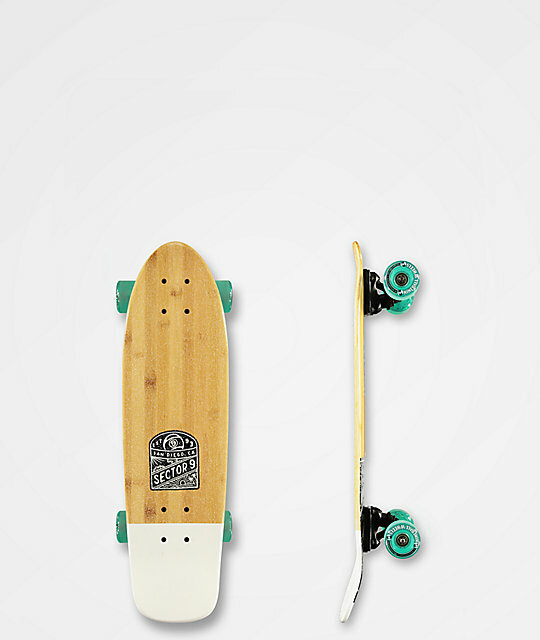 For a compact cruiser that can shred any sidewalk, grab the Sector 9 Billow Bambino 26.5" Cruiser Complete. Gullwing street trucks are stable from hill bombs to vert stalls, while the overall mild concave is highlighted by a prominent kick tail for ollies and maneuverability. Billow Bambino 26.5" Cruiser Complete from Sector 9. Medium concave with no flex. 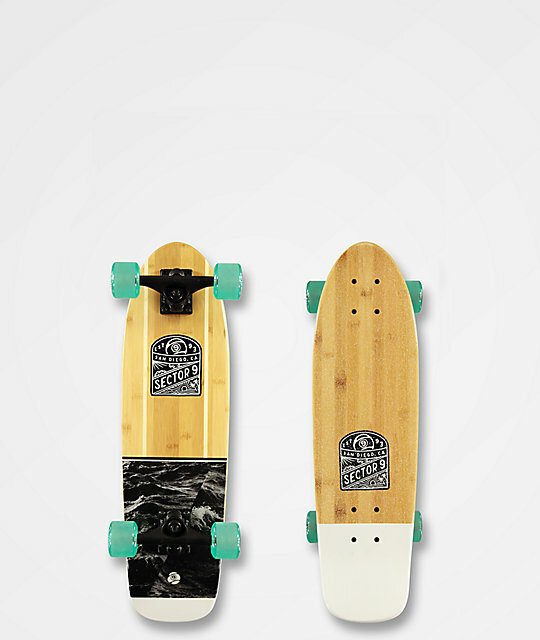 Sector 9 Nine Ball 69mm, 78a wheels.